Rambam Yeshiva of New Jersey is moving ahead with plans to open in September, having secured funding that will help it underwrite tuition, a new head of school, and an Old Bridge location. The ninth- through 12th-grade school was organized by a group of parents in the wake of the decision by South River-based Moshe Aaron Yeshiva High School to close after 18 years next month. Plans for the new school were announced after a bruising few weeks for Orthodox day schools in Middlesex County and beyond, including the closure of MAYHS and of Shalom Torah Academy in Morganville (though that one is officially merging with its East Windsor counterpart). Rambam organizers will hold parlor meetings for interested parents over the next several weeks. They have leased space at Route 18 and Spring Valley Road, a location, they say, that is convenient to East Brunswick, Highland Park, south Edison, Monmouth County, and Staten Island. The school will have its own entrance, a large science lab with modern equipment, and a beit midrash, organizers said. They announced that the institution’s new head of school is Rabbi Moshe Bak, currently head of school at the financially strapped Shalom Torah Academy in Morganville, which on May 16 announced it would merge with STA in East Windsor. As of press time on May 20, Nora Horn, general studies principal at the East Windsor STA, told NJJN said that school officials were possibly reevaluating the merger decision. This was confirmed by a high-level official of the schools who asked not to be named. Although the announcement of his appointment came a day after a letter from Bak announced the merger of the Shalom Torah schools, both he and Rambam representatives said his hiring was unrelated (see related article). In a community meeting held May 17 at Congregation Ahavas Achim in Highland Park, another founder, John Rosen, said there was a lot of confusion surrounding the “tragic” closures of MAYHS and the Morganville school. However, he stressed that Bak had made the decision to leave Shalom Torah before he was approached by Rambam. MAYHS announced April 12 that it could not afford to open in the fall, a victim of dwindling enrollment and mounting debt. Its student body of 121 included 30 students graduating this year, while only 12 students preregistered for 2011-12. To underwrite $2,500 of each Rambam student’s $15,975 tuition, it has received a $75,000 grant from the Teichman family of Brooklyn, to be distributed on a first-come basis. 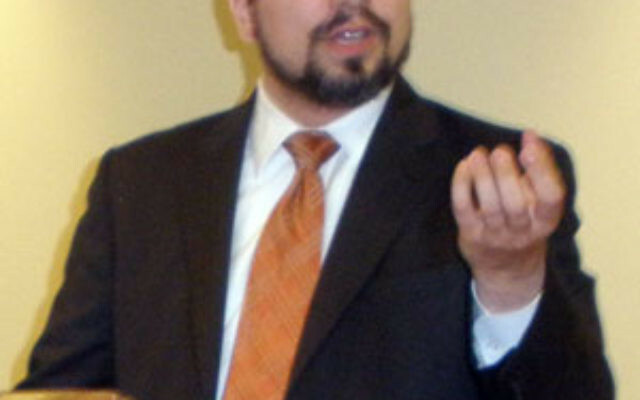 Rabbi Shlomo Teichman, longtime dean of Bais Yaakov Academy in Flatbush, had been named CEO of Shalom Torah after it filed for bankruptcy in February 2010. 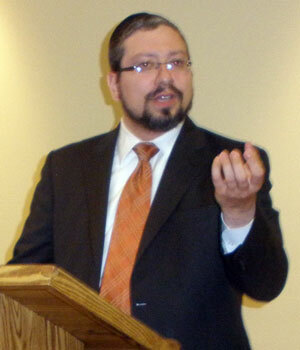 Serving as family spokesperson, Teichman said in a released statement that he approved the grant after learning Bak would become Rambam head of school, an appointment that assured him that “Rambam Yeshiva will be a school of academic excellence and of strong Jewish values.” Attempts to reach Teichman were unsuccessful. Within weeks of its formation, Rambam raised about $200,000 in cash, pledges, and in-kind donations, according to Dr. Richard Kleinmann, Rambam’s finance committee chair and building committee cochair. About 50 interested parents attended the May 17 meeting; some expressed concerns about educational offerings and the new school’s stability. Bak offered his vision and reassurances and said he has always demanded excellence from his teachers. The school, he added, would be based on Torah scholarship, academic excellence, and turning students into well-rounded American Jews. He said he also believed in instilling in students “ahavat Yisrael” — a love of Israel and the Jewish people. Bak formerly served as principal of Rabbi Joseph Jacob School on Staten Island. He also launched Project Innocent Heart, a Far Rockaway, NY, organization that helps child-abuse victims in the Jewish community. Rambam will accept both boys and girls, but Jewish studies and secular classes will be gender separate. At least initially, most advanced placement classes and extracurricular activities will be mixed, as will busing. Dr. Irving Kaufman of Highland Park, whose daughter, Esther, is an 11th-grader at MAYHS, said he liked what he heard so far. Describing himself as an observant Jew equally at home in Conservative and Orthodox synagogues, he said the school’s philosophy “of being open to all different flavors of Jews” was appealing.